The Group 1’s for the 2015/2016 season have now all been run and won. A quick look at the stats behind these winners shows the huge influence of Champion stallion Encosta De Lago is still dominating the elite level of racing. The most successful sires with three Group I winners each were Encosta de Lago (Chautauqua, English, Vanbrugh), More Than Ready (USA) (Perfect Reflection, Eagle Way, Prized Icon), Not a Single Doubt (Extreme Choice, Good Project, Single Gaze) and his sire Redoute’s Choice (Peeping, Howard Be Thy Name, Abbey Marie). Those stallions with two Group I winners were Street Cry (IRE) (Winx, Stay With Me), Tavistock (Tarzino, Tavago), Teofilo (IRE) (Kermadec, Palentino), Written Tycoon (Capitalist, Music Magnate) and Zabeel (Preferment, Provocative). Worth noting for their lack of any Group I winners this season are Fastnet Rock and Snitzel, seen by many as the most commercial sires in the country. The influence of Encosta De Lago doesn’t end on the sireline either. His bloodlines also dominate on the dam side of the pedigree with Fairy King’s champion son Encosta de Lago the most successful broodmare sire, his daughters producing four individual Group I winners – Japonisme (Choisir), Sofia Rosa (Makfi), The Quarterback (Street Boss) and Peeping (Redoute’s Choice). This season’s Group 1 winners have yet again demonstrated why the progeny of Encosta De Lago are so sought after in the industry. After all, we are all striving to win more Group 1’s. Triple Crown have limited shares available in an outstanding Encosta De Lago colt out of Raging Inferno. He is being offered at sensational value from $6,995 per 5% share or $13,990 per 10%. 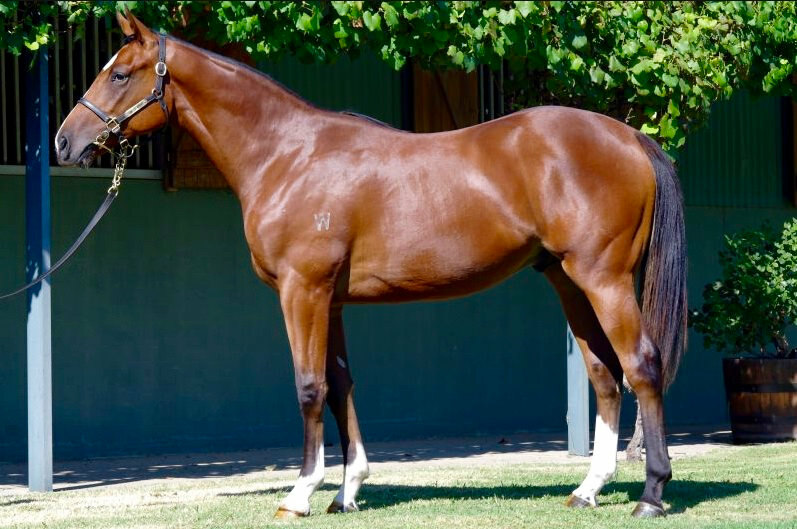 This exciting colt is being trained by Australia’s most astute trainers, Peter & Paul Snowden at Royal Randwick. Click here for more information and register your interest now to avoid missing this opportunity. Feel free to call Mike or Chris in the office anytime to discuss on 02 9499 5212. Some stats/words from Tara Madgwick’s article from Breednet combined with Triple Crown.